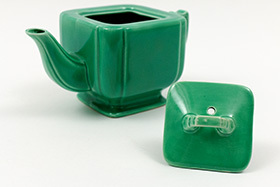 Circa 1937-1939. 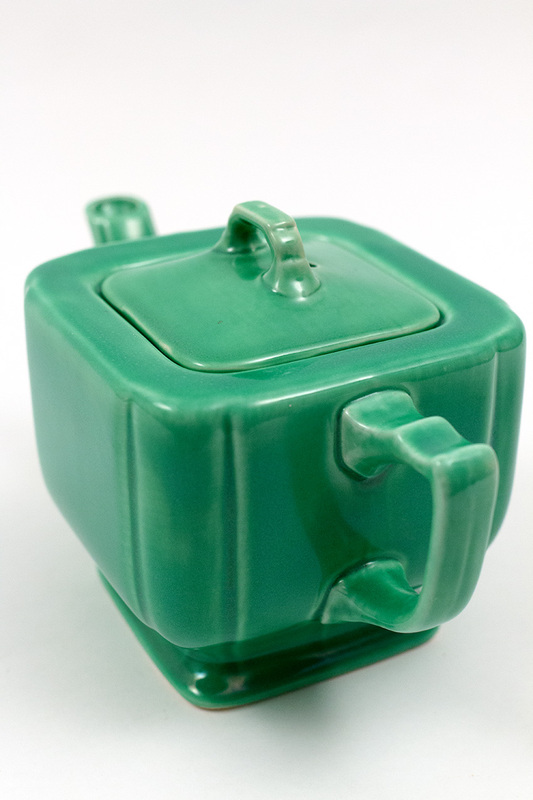 Early version with the hand punched, built in tea strainer inside. Riviera pottery is a small line, consisting of less than twenty pieces. The teapot is one of the few lidded pieces and highlights the distinct stylistic elements of Riviera - square shapes, scalloped corners, tab handles and minimal, yet dramatic, highlighted edges. This teapot in original red boasts an early built in strainer over the inside opening to the spout. 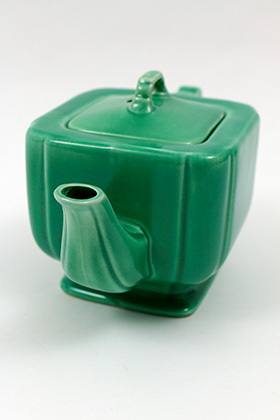 A highly labor intensive process which entails hand punching the holes and attatching the spout by hand, using slip and a sponge. 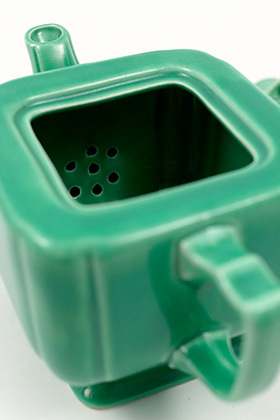 Later varieties will be slip cast in one piece and have no built in strainer. 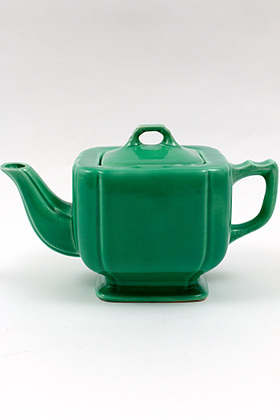 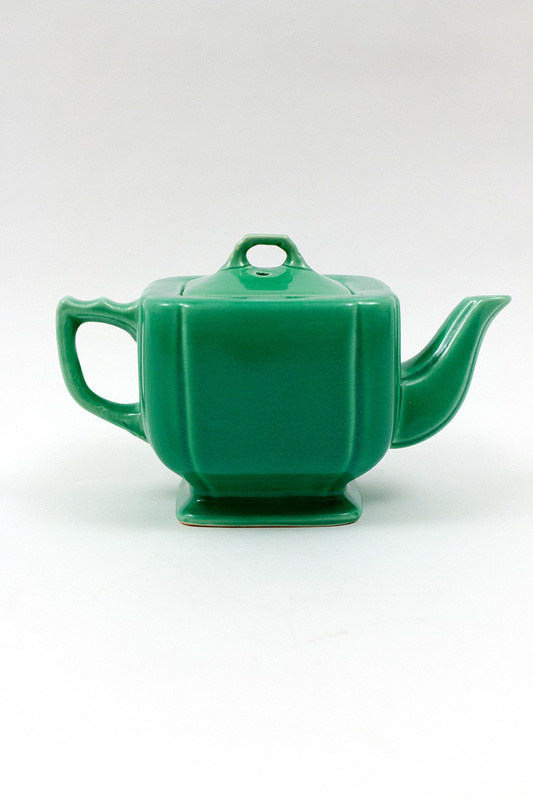 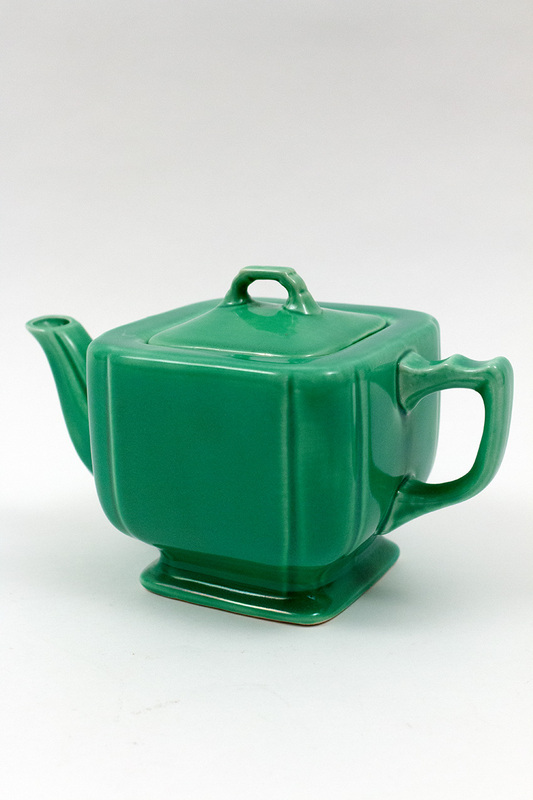 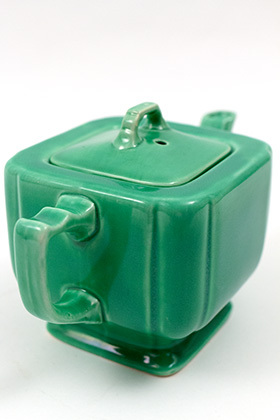 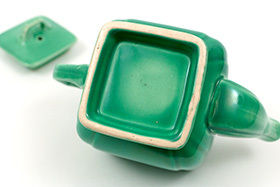 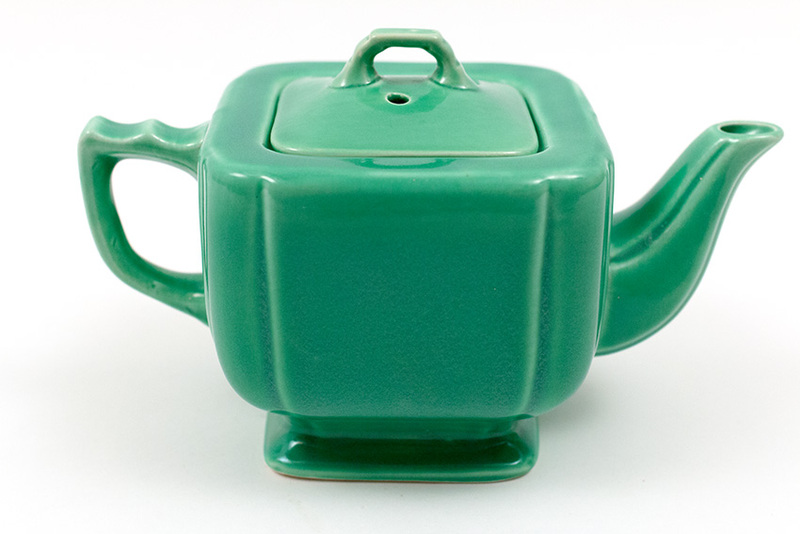 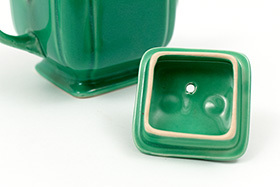 This teapot in original Green is in excellent condition with no damage, no apparent use and no distracting manufacturing flaws. 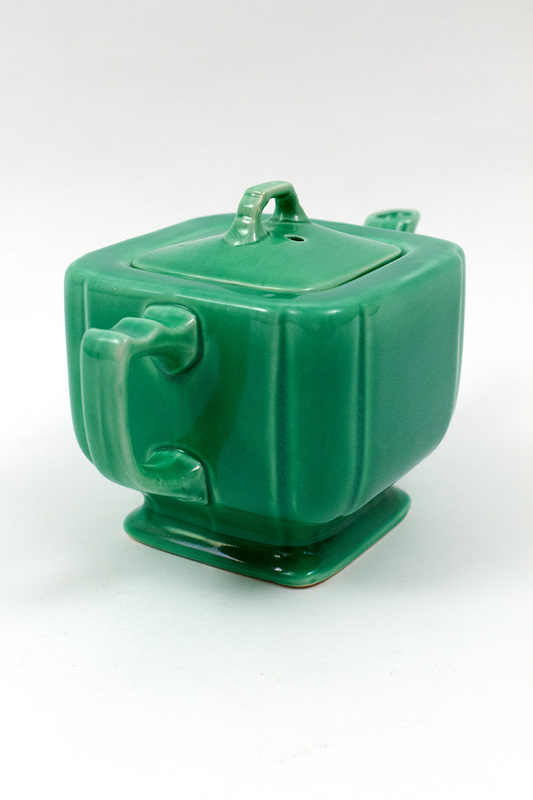 A delighful piece that is becoming exceedingly hard to find, especially in such fantastic condition. Guaranteed to please.